Pretty Me Up! 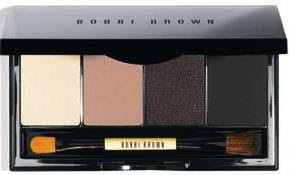 : Bobbi Brown Holiday Collection: SWATCHES GALORE!! 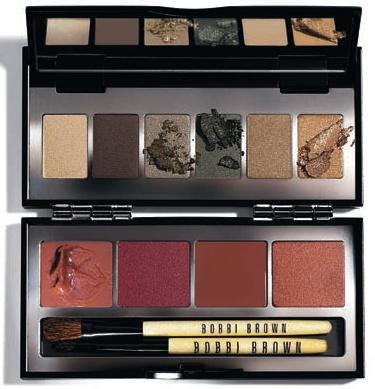 Bobbi Brown Holiday Collection: SWATCHES GALORE!! Limited Edition. 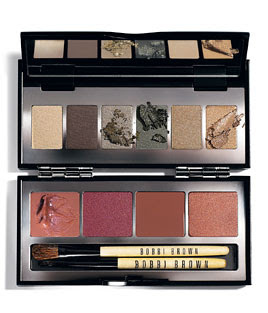 Natural, shimmering elements come together in this beautiful new palette. 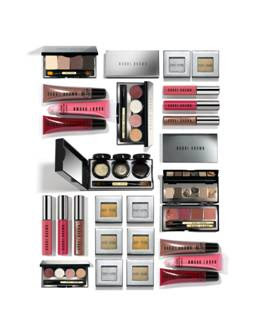 Inside the chrome-accented, sleek compact you'll find a flip-top mirror with exclusive Eye Shadows and Creamy Lip Colors, and mini Eye Shadow and Lip Brushes. Back by popular demand. 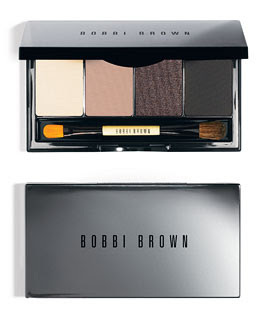 The perfect day-to-night eye palette includes an allover base shade, a lower lid shade, a crease shade, liner and a dual-ended Mini Eye Shadow/Eye Liner Brush. Pretty and pampering. 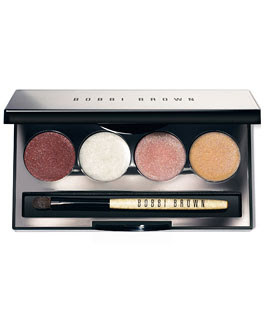 This sleek, chrome-accented palette is filled with four beautiful shades of Glitter Lip Balm. Unique balm formula is infused with a mix of pearls and glitter so it moisturizes, comforts, and gives lips a glowy sheen. 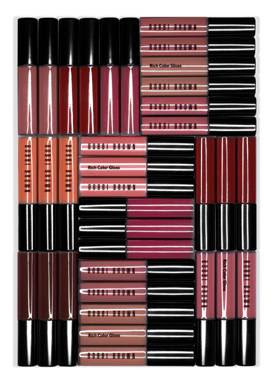 Includes a Lip Brush. 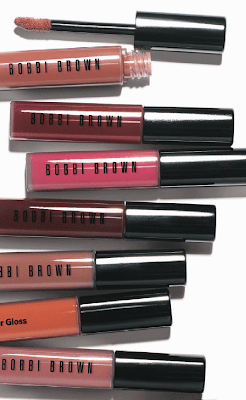 New Rich Color Lip Gloss offers triple benefits: the full color coverage of a lipstick, the soft shine of a gloss, and the luxurious feel of a balm. Moisturizes, conditions, and lasts throughout the day without feathering. Doe foot applicator applies color smoothly and evenly. Available in 8 shades including pale, neutral, deep, and bright options. Great swatches! I love Rose Garden l/g from the palette, it's sooo pretty!